LOL why are they wearing these terrible unis again?!?! Kings are wearing their diapers. Senators just clinched a playoff spot. Bos or Pit to be out upon results of their games. Isn't it a little late for that? Shoulda worn them on their roadie, then maybe it'd have been a little less embarrassing when they **** themselves down the stretch. Diapers suit the Queens. Geez I hate listening to Fox. Wish I could get the Wild, Blues game instead or the Flames, Jets game. No kidding. Listening to Fox is like nails on a chalkboard. We have an interest in Wild, Blues / Flames, Jets games. Instead we get to see two losers playing one another. National broadcast talking glowingly about the Kings minor league system. Really?? Maybe they missed the Future Watch ratings from Hockey News. What a bunch of dopes. Looks like the CHAMPS are going to win the teetime cup. Whoa, suddenly they are *SOLD OUT* ?! The Kings season is officially over.....Sharks too. Go Ducks ! Word is Regehr is calling it a career. DL has yet another hole on the blueline to fill this summer. 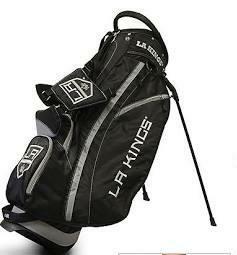 Maybe Doughty can just play two full periods a game. Congrats to Regehr on a good career, always a p.i.t.a. to play against. Wow really? He's what 34/35? The Kings will likely aim to resign Sekera. They need to figure out the voynov thing. I could see that. Lombardi will be busy. Doubt it. They've got nothing to give up. Unless they plan on moving this years 1st pick. God, they're in the crap. I love it. read something similar on Puck Daddy. Must admit, loved reading this. Nothing like discord amongst the Kings. Really curious as to the ring leaders of doing that. I don't know why Doughty comes to mind. Anyone that acts the way he does on the ice constantly showboating at the refs expense is a top suspect IMO. Speaking of which I wonder if NHL referees have grown tired of Doughty's act as well. I hope the refs have their own message board somewhere, cuz I really wanna read what they have to say about the Drewchebag. 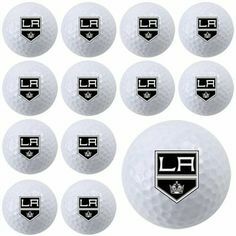 do nhl.com favor the kings?. They're also the only defending champion to miss the playoffs this year. I may not agree with the reasoning (excuses) in the article, but it's absolutely a story that needed to be written. Nothing special about writing why the Sharks or Av's missed the playoffs this year, or why Carolina and Buffalo missed again. To quote a very wise man, "Shut your whore mouth!" @curtiszupke: Lots to sift through with Dean Lombardi media session. Sekera has MCL but no tear. Nothing else major w/ other players. @curtiszupke: Lombardi also confirmed NY Post report about players locking out Sutter after a game. Will link later. ... and win the draft lottery! I saw that info on the above thread, So if I'm Dean Lombardi, I say: Hey, who were those guys, and we'll find a place for them to play next season. Sutter's a damn good coach, and coached them to two championships. The spoiled whiny complainers should be identified and removed. But then again, how accurate is this story with anonymous sources? Scroll up a couple posts. Per Zupke, Lombardi confirmed the incident happened. "Stay out, we got this one"
They can spin it any way they want but Sutter has a history of clashing with players - which doesn't make him a bad coach - but does probably limit his shelf-life... you can only get rid of so many players.